Sweet Heart Pink is the perfect present for baby's first birthday and/or first Christmas! This little 12” baby doll is just the right size for a child's little arms and hands to hold and move easily. Its soft, bead-free body is light and easy to grasp. The doll's head and hands are made of delicately vanilla-scented, soft-touch vinyl. 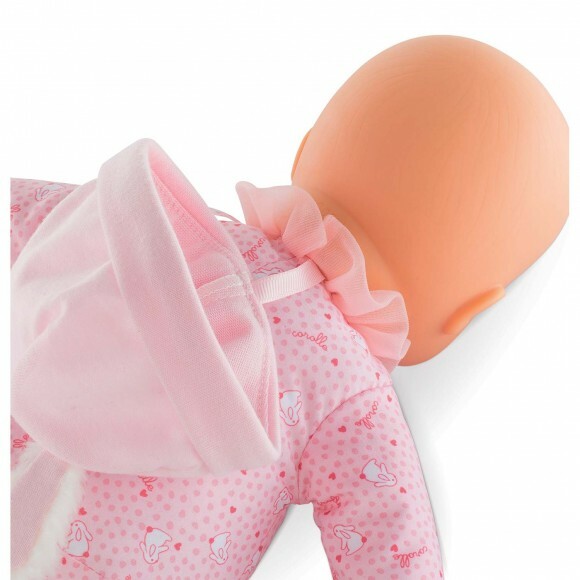 The soft “pajamas and slippers” effect body is made of several different fabrics to stimulate baby's senses. It is not removable. The hat can be taken off but stays attached to the body by means of a clever little tab at the back of the head, so that it doesn’t get lost. Sweet Heart Pink has a name-tag where you can write your child's name, just in case the doll gets lost! Fixed eyes. Can be hand-washed. 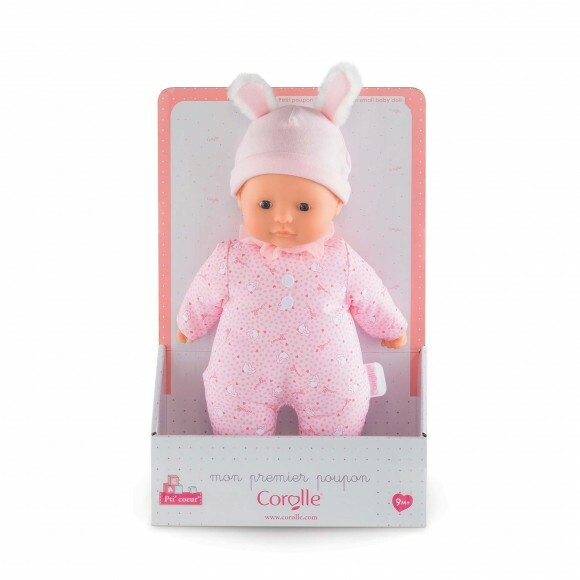 mon premier poupon Corolle: small baby dolls with their own clothes and accessories so even little ones can haveearly nurturing time.